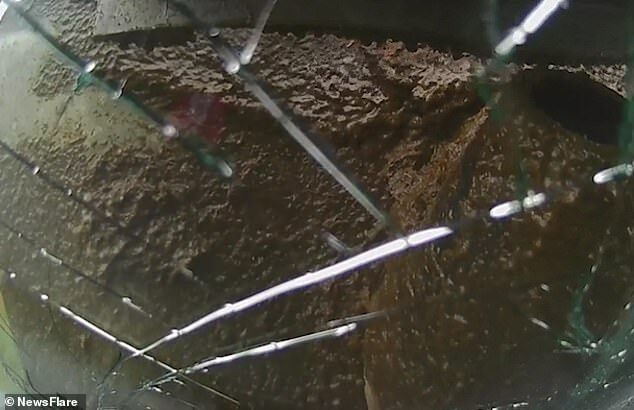 A terrified motorist had his car written off after a manure-spreading tractor reversed into his vehicle and destroyed his windscreen. 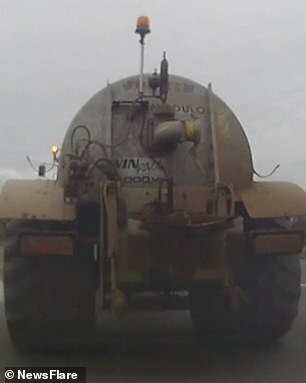 Dashcam footage showed the moment the driver was waiting to turn left at a junction in north Wales when the tractor towing a manure spreader reversed into his car. 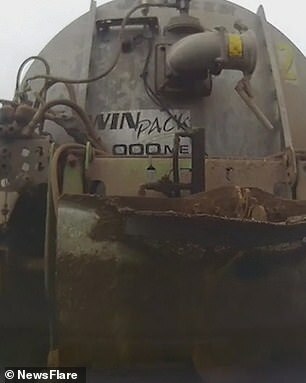 The driver had a lucky escape as the tip of the manure spreader pierced his windscreen, stopping just inches from his seat. The incident took place on January 12 after the motorist had been on a shopping run near Abergele. His car was deemed beyond repair and written off by the insurance company. The tractor driver was unaware the car was behind him and apologised.